After the Congress Working Committee endorsed statehood for Telengana, the Gorkha JanaMukti Morcha (GJMM) announced an indefinite strike in West Bengal&’s Darjeeling Hills to press for a separate state of Gorkhaland. But Telengana and Gorkhaland issues are altogether different if viewed in the correct historical perspective. If, on the one hand, Telengana was the first demand for a linguistic state of the Telegu people in the country and decision of endorsement of statehood of Telengana is actually setting right a historic blunder through demerger of Telengana, then on the other, history doesn’t support the demand for Gorkhaland, since historically, there is no Gorkha ethnic group or Gorkha race anywhere in the world for whom a separate state could be created. But then, it is also true, the most complicated realities of mixed cultural identities in Darjeeling region&’s day to day ethno-political life have been posing personal and political challenges for the people of the Hills, who now, under the new leadership of Bimal Gurung, are desperately seeking a separate state of Gorkhaland. 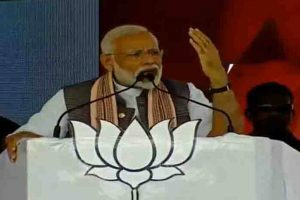 All these years, neither Subhas Ghisingh – the first proponent in recent times of Gorkhaland, nor the earlier state government in West Bengal did anything serious to solve the problems of the people of Darjeeling. The uneven recognition of individual groups or no recognition at all has led to dissonance in the Hills. But the creation of a separate state is neither a solution to the problems of the people of Darjeeling, nor is the demand for a separate homeland for Gorkhas legitimate. Gorkhas are, in fact, immigrant Nepalese. Early history shows that population of Nepal comprised members from Mongoloid and Indo-Aryan races. Nepal became a pleasant habitat for people coming from the harsh climatic conditions of the Tibetan plateau. Besides, during the Muslim invasion, a section of people from India took refuge in Nepal to avoid conversion to Islam as well as political persecution. The intruding refugees captured the fertile lands of the indigenous populations such as Gurung, Magar, Tamang, Rai, Limbu, Sunuwar and Jirel, among others, and drove them to the slopes of the hills. Being driven away from Nepal, the immigrant Nepalese occupied some territory in the Darjeeling region. But Nepalese started coming to India on a large scale for economic opportunities after the Anglo-Nepal war of 1814-16. Before that, Nepal was divided into 50 small kingdoms and one of the kingdoms was named ‘Gorkha kingdom’, since the language of the people of this region was called Gorkhali instead of Nepali. In 1560, legendary king Drabya Shah, the ancestor of the famous king Prithivi Narayan Shah, captured the Gorkha kingdom. In 1768, Prithivi Narayan Shah captured the Kathmandu valley (then known as Nepal) and declared the country as Nepal by the process of unification of all small kingdoms. The Gorkha kingdom was finally abolished. This was the reason why Subhas Ghisingh, during his agitation of Gorkhaland in 1985-86, raised the bogey of ‘Greater Nepal’. He opined that Sikkim and Darjeeling were actually British gifts to India. Therefore, after independence, the merger of both the hilly regions with India was legally invalid. During the 1985-86 agitation, the Left Front government of West Bengal tried hard to implement the sixth schedule in Darjeeling on the demand of Ghisingh. The sixth schedule of the Indian constitution has not been extended to any state other than those in the north-eastern region. The concept of autonomous council had its root in tribal dominated areas of the north-east, where tribal councils existed historically. Hence, its relevance in non-tribal dominated areas like Darjeeling hills is minimal. The survey found that Scheduled Tribe population constituted only 31.4 per cent of the total population of Darjeeling. For many Darjeeling residents of Nepali ancestry, disillusioned with the failure of the Gorkhaland movement during the 1980s, the search for classification as a Scheduled Tribe presented an alternative to demanding benefits from the Centre. However, this also meant dismantling of the ‘pan-Nepali’ identity in favour of a ‘tribes’ identity. During Mamata Bannerjee&’s regime, another big mistake was committed when the GTA (Gorkhaland Territorial Administration) agreement was signed, in which the word ‘Gorkhaland’ was included. The problem with the people of Darjeeling who grew up in post-independence India is that they had little idea about the culture of their parent ethnic groups. GJMM chief Bimal Gurung belongs to this generation. 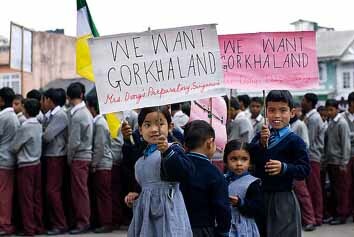 Therefore, the Gorkhaland agitation is not only about the creation of a separate state, but also a struggle for recognition of a distinct identity, a classification that can entitle a community to educational, economic and other benefits from the state on the basis of their unique cultural history and language. It is, no doubt, one of the most critical issues in the region, which needs to be separated from political violence, bandhs and counter-bandhs and debated on a different level. No doubt, there should be consensus among all political parties against yet another division of West Bengal, but both the state and Central governments must ensure that a new scheme is introduced that allows concrete benefits to trickle down to the people of Darjeeling and guarantees preservation of their linguistic and cultural rights. The writer is on the staff of Dainik Statesman.